Pet Safe's New and improved Busy Buddy Bouncy Bone is a durable bone and rubber ball all wrapped in one. To make the toy even more irresistible to your dog it also features replaceable treats. 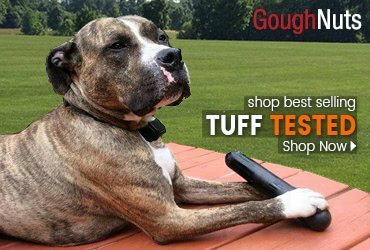 The Bouncy Bone is a must-have for any dog! The Bouncy Bone comes packaged with 2 sets of the all New U.S.A Made Dental Support Treats, to keep your pup chewing happily and keep them healthy. Stimulate your pet with the interactive Bouncy Bone toys. Includes: 2 Sets of U.S.A Made Dental Support Treat Refulls. Durable The design of the nylon bone and rubber ball provides dogs with an extended chewing experience. Gnawhide Irresistible Gnawhide treats last longer than giving treats alone and dogs are stimulated to chew the toy well after the treats are gone. Toy unscrews to load treats. This dog toy comes packed with three sets of treats. Easy to clean Toy unscrews so that it is easier to clean. Just rinse and dry. 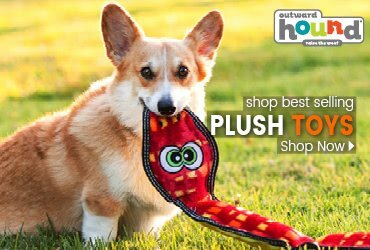 PetSafe Busy Buddy Bouncy Bone Dog ToyDesigned to keep your pet busy with activity! Our PetSafe Busy Buddy Bouncy Bone is three toys in one: nylon bone, rubber ball, and refillable treat-holding toy. Treat ring refills (sold separately) reward good chewing behavior to encourage longer playtime. Busy Buddy Bouncy Bone will provide hours of healthy activity and fun for your dog. 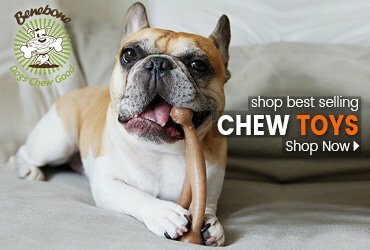 Perfect for dogs who like to chew, the Bouncy Bone rewards them for appropriate chewing with their favorite treat. 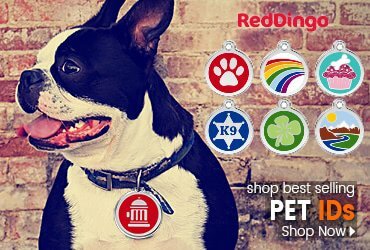 Offering a great way to entertain your dog while mentally stimulating him or her to work for his treats. Dishwasher safe, top rack only. Medium/Large: Designed for (Example) Beagles-Cocker Spaniels and Shelties. Large: Designed for (Example) Dalmation-Golden Treiever and Labrador.